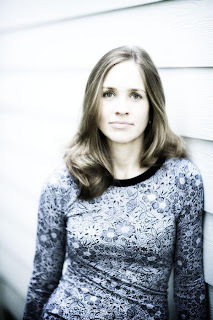 Decatur CD: Caroline Herring in-store this Saturday! Paste: "...Herring effortlessly plumbs the emotional depths of her songs with her evocative alto. Her delivery...makes this song cycle resonant in more ways than a simple, rootsy singer/songwriter album ought to." No Depression: "Insightful, evocative writing is the common denominator of Lantana...a compelling acoustic album." Pop Matters: "...the artistry involved makes it accessible to all listeners... She's talking about the situation of all of us in a world not of our making, where our deepest impulses aren't always our best ones, and even when we try hard, we can't always win." Robert Earl Keen: "Caroline Herring confidently returns to the forefront of the American roots music scene with her new album Lantana." [p]The first heat rods were created and used in 1872 by Erica Feldman, who took heated irons and applied them to the head to shape hair . You¡¯ll be acquirements about gels, shampoos, rinses, and all of that affectionate of [url=http://www.australiaghdwholesale.info]cheap ghd straighteners[/url] thing . contemplating that freezing environment is usually [url=http://www.aughdstraightenersoutlet.info/diamond-limited-edition-iv-styler-p-28.html]babyliss hair accessories[/url] a attribute of Australian winters, a comfortable boot is needed to withstand the cold . Just be certain to use a stunning necklace around your neck to complete the bare area among your bodice and chin, otherwise you may [url=http://www.cheapghdaustraliaau.info/ glamour-limited-edition-2011-p-33.html]ghd products cheap [/url] seem naked in a close up pic! Curly hair brings sensual feeling, curly straighteners i can make my own styles that i like but need to be careful when using it because it can damage your hair.